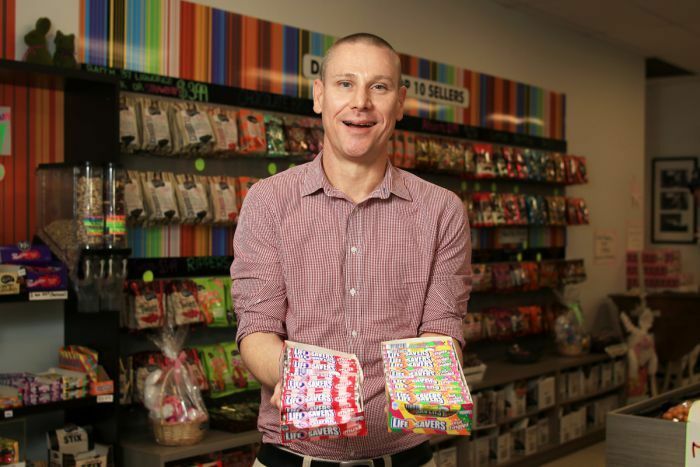 One of the world’s best-known lollies is again being made in Australia as Darrell Lea turns on their production of Life Savers in south-west Sydney. The sugary treat has been a fixture in every supermarket and service station confectionary shelf for decades, and this week, Australia started producing Life Savers again. After Darrell Lea purchased the product last year from Nestle, the company relocated its production from New Zealand to Ingleburn in south-west Sydney. It is part of a deliberate effort from Darrell Lea to acquire brands that it feels need revitalisation, or in this case, life saving. “We’re a business that wants to grow and will grow through organic growth, but also acquisition,” Life Savers marketing manager at Darrell Lea, James Byrne said. “We’re in the market to get brands, and Life Savers is a great brand here and around the world. That includes their own when they were placed into voluntary administration in 2012 and their chocolate shops closed across the country. Since then, the company was purchased and restructured by Quadrant Private Equity and has switched to stocking its products in major supermarkets. Mr Byrne said it has turned the company’s balance sheet around completely and he hopes the acquisition of Life Savers can turn into a similar success story. When Darrell Lea purchased Life Savers last year, representatives from the company went to Nestle in New Zealand and worked out the logistics of moving manufacturing across the Tasman. The machinery was then pulled apart and sent by ship to Australia, where it has been reassembled, fine-tuned and switched on. Life Savers advertising in mainstream media dates back as far as this one from 1917 in a US newspaper. 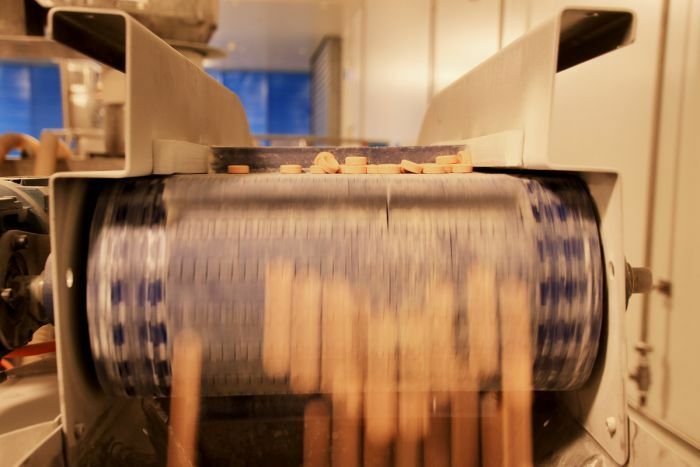 “We mix the powder here with the sugars, flavours and colours and then that powder is then put into a pressing machine where the Life Saver is pressed into shape,” Mr Byrne said. The company has hired an extra 21 staff members to work on that production line. Life Savers were first created in the United States in 1912 and were reportedly discovered by Australian servicemen during WWI. They were first manufactured in Australia in 1925 and the brand was then bought by Nestle. In the early 2000s, Nestle moved manufacturing of the lolly to New Zealand, which is where it has been produced until this week. 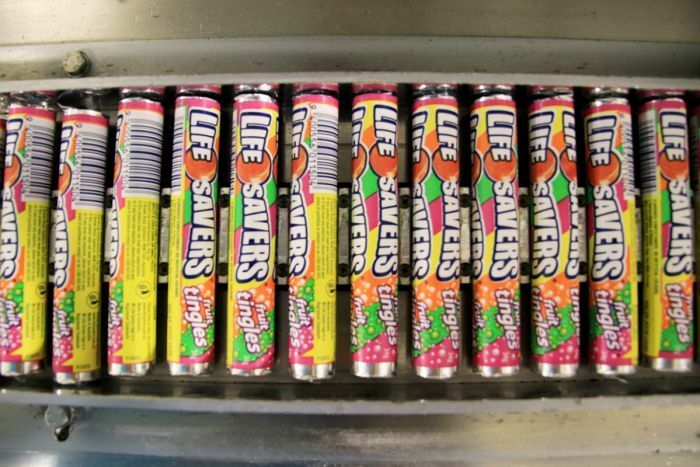 “Life Savers is one of those brands synonymous with Australia, and while we have manufacturing assets in New Zealand, we made a conscious choice to bring manufacturing back to Australia,” Mr Byrne said.